Mudchute Park and Farm is located in the middle of the Isle of Dogs. We are easily accessible by road from the A13 following the signs for the Isle of Dogs and then take the A1206 towards Island Gardens. Look out for the second Pier Street. Alternatively take the environmentally friendly route on the Docklands Light Railway, alighting at Mudchute station and following the long path from the Park entrance to our horse-riding arena. For more information about finding us see our Plan Your Visit pages. 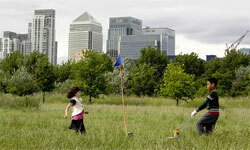 Care for the environment is at the heart of all we do at Mudchute. 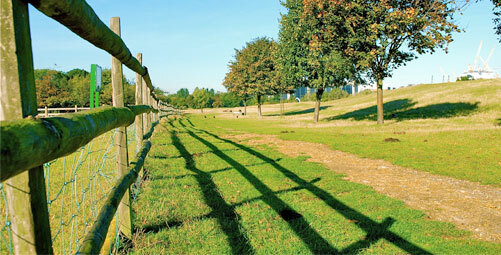 We have a wonderful 32 acre site which is open to the public and offers fantastic views across London. 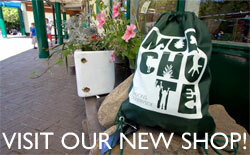 The Mudchute Association is a registered charity in England and Wales (registered charity number 284907) and membership organisation. 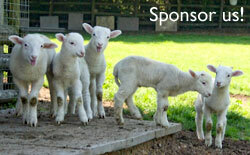 We are open all year, free of charge, but rely on your support to continue to do so. Any donations are greatly appreciated. We preserve the open space and make it available for events, community groups or just your simple family picnic. And where else do you get to share your lunch with friendly fur and feathered creatures.